These measures to be taken up by MUDRA are targeted towards mainstreaming young, educated or skilled workers and entrepreneurs including /women entrepreneurs. The Government of India believes that development and growth have to be inclusive. According to the NSSO Survey of 2013, there are some 5.77 crore small business units, mostly individual proprietorship, which run manufacturing, trading or services activities. These encompass myriad of small manufacturing units, shopkeepers, fruits / vegetable vendors, truck & taxi operators, food-service units, repair shops, machine operators, small industries, artisans, food processors, street vendors and many others. Most of these 'own account enterprises' (OAE) are owned by people belonging to Scheduled Caste, Scheduled Tribe or Other Backward Classes. The biggest bottleneck in the growth of entrepreneurship in this sector is the lack of financial support. A vast part of the non-corporate sector operates as unregistered enterprises and formal or institutional architecture has not been able to reach out to meet its financial requirements. Providing access to institutional finance to such micro/small business units/enterprises will not only help in improving the quality of life of these entrepreneurs but also turn them into strong instruments of GDP growth and employment generation. Since the enactment for MUDRA is likely to take some time, it is proposed to initiate MUDRA as a unit of SIDBI to benefit from SIDBI's initiatives and expertise. · Creation of Framework for "Small Business Finance Entities"
Finance Bill, 2015 has proposed to increase effective rate of Service Tax from 12.36% to 14%. Wide spread confusion has been created by some renowned TV Channels and Newspapers regarding effective date of change in rate of Service Tax. In this regard, we would like to clarify that change in rate of Service Tax will be effective from the date to be notified after enactment of Finance Bill, 2015. Relevant portion of D.O.F. No. 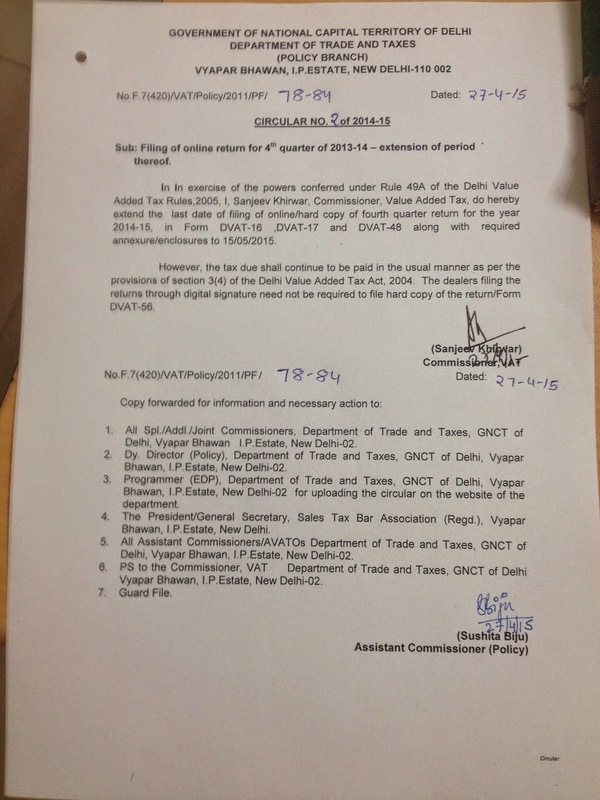 334/5/2015-TRU dated 28th February, 2015 is produced below: "3.3 The new Service Tax rate shall come into effect from a date to be notified by the Central Government after the enactment of the Finance Bill, 2015." 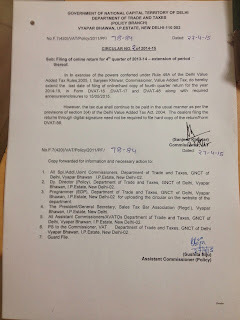 It is worthwhile to mention that there is no change in rate of Service Tax w.e.f. 1st April, 2015. We will keep you updated on this issue as and when such notification is issued.